A network analyzer is an instrument that measures the network parameters of electrical networks. Today, network analyzers commonly measure s–parameters. Full featured network analyzers are expensive instruments, and sometimes a simpler. Scalar Network Analyzer (SNA) is a simpler form of RF network analyzer that only measures the amplitude properties of the device under test. SNA is very useful for measuring the amplitude response of a variety of components. The scalar network analyzer is a popular instrument used for measuring scalar stimulus-response. Manufacturers frequently perform scalar stimulus-response measurements (also known as scalar network analysis) to measure the gain, insertion loss, frequency response or return loss of devices such as cables, filters, amplifiers and complex systems encompassing multiple components. Effectively, a scalar network analyzer, SNA, works just as a spectrum analyzer in combination with a tracking generator. It is also possible to build scalar network analyzer in several ways. One option to build simple SNA is to have suitable adjustable RF generator and simple RF amplitude detector (instead of full spectrum analyzer). I have done some testing with ad9850 dds module and I had already built simple RF amplitude detector, so all I had to combine them and write some software to make my own simple SNA. I connected the output to Arduino analog in 0. When used it will print out two number per line: freqency in kHz and AD converter measurement value (value range 0-1023). Now I can get data, but a visual output would be nice (something easier than cut&paste the data to Excel and draw chart). So I started looking for some program I could use and not have to write my own for this. After some searching I saw Serial Oscilloscope (with Arduino) video that showed how to use Serial oscilloscope software to plot data from Arduino. 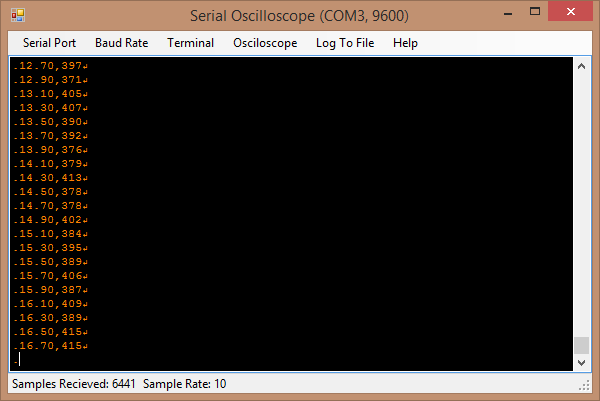 Serial oscilloscope is a Windows application that plots comma-separated variables within any incoming serial steam as channels on a real-time oscilloscope. 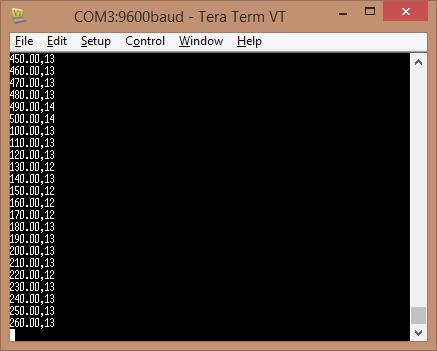 The application also functions as a basic serial terminal, received bytes are printed to the terminal and typed characters are transmitted. Serial Oscilloscope is compatible with any serial stream containing comma-separated values terminated by a new-line character (“\r”). This was exactly right for my nest visualization tests. Now I can get a plot-out of the measure circuit frequency response (output vs frequency). This is a good start for experimenting and already useful. AD9850 module can generate frequencies in 0-40 MHz frequency range. There are still some issues until this is a real useful SNA. For example there would be some need for some impedance matching, because now the generator output is 100 ohms and RF input is high impedance. Ideally those should be 50 ohms for most RF measurements. Also a directional coupler would be nice to have… This is just a start of the project. Display 2×16 with optional backlight. Precision DDS signal generator (AD9851) used as signal source. USB port connects to PC for field-upgradeable software and uploading of real-time measurement data. Measure antenna electrical parameters : SWR, impedance (resistance + reactance), capacitance, inductance. The project uses an Analog Devices AD9851 DDS chip clocked at 180 MHz which will output a sine wave at any frequency from 0 Hz and 72 MHz. The circuit will output about 0dBm into 50 ohms. The power detector is an Analog Devices AD8307 along with a 50-ohm input load. There is no filtering on the power detector so it can measure from very low frequencies to 500MHz. This is really three tools in one: a sine wave generator (0-72MHz @ 0dBm), a power detector (LF-500MHz, -70dBm to +10dBm), and, when used in concert together, a scalar network analyzer. I wrote a program to display the trace and control the board in Python. On paper, the operation of a VNA is surprisingly simple. RF at a known power level is passed through the device under test into a load, and the forward and reverse RF is sampled on both its input and output with a set of directional couplers. [Henrik] admits that his VNA isn’t as accurate an instrument as its commercial cousins, but for his tiny budget the quality of his work is evident in that it is a functional VNA. Since I can’t afford even a used VNA I decided to make one myself with a budget of 200€, tenth of what they cost used and about 1/100 of what they cost new. Of course it isn’t going to be as accurate as commercial VNAs, but I don’t need that high accuracy and it’s a good learning experience anyway. Source is implemented using a phase locked loop and often frequency multipliers are used to reach the higher frequencies. To keep the output power level constant as a function of frequency, output power after the output amplifier is measured and attenuator before the amplifier is adjusted until the sensed power is correct. 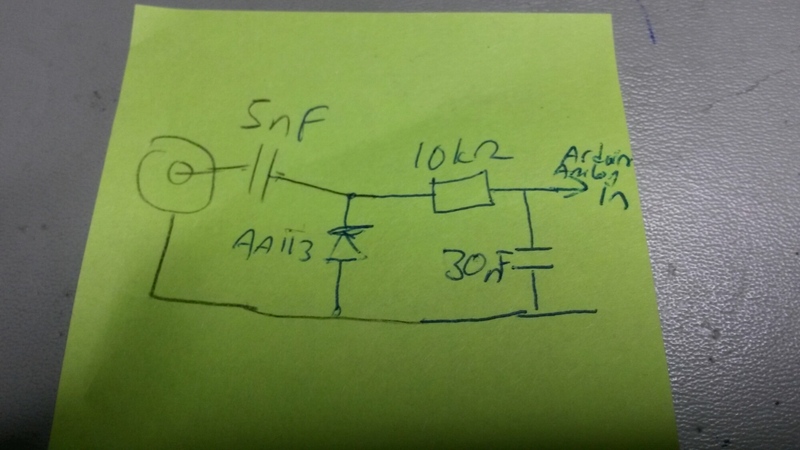 Power coupled into the directional couplers is high frequency and it needs to be mixed down before it can be detected. Super heterodyne receiver with one intermediate frequency is often used receiver architecture that avoids complications with mixing straight to the DC. Analog mixers add noise, phases of the LO signals of two mixers aren’t perfectly equal, performance varies as a function of temperature and operating voltage and so on. None of these errors exist with digital mixing and measured result is much more accurate. While this is a good architecture for making a VNA, it has a drawback of needing many expensive components. 30 MHz – 6 GHz mixer costs about 10€, high accuracy ADCs about 10 – 20 €, fast microcontroller, or better, FPGA is needed to interface to the ADCs, control switches, toggle other signals and communicate with computer. Just these components cost at least 100 € and many more components are still needed such as PLLs, oscillators, filters, PCBs, power converters and so on. Whole board would be way too expensive so something has to be removed to save money. Most radical way to simplify the block diagram is replacing the receivers with single receiver and SP4T switch. This removes three ADCs, mixers and filters while adding a single switch. Signal processing is also simplified since now we must only measure one ADC instead of four. Local oscillator can also be simplified as harmonics and exact power level doesn’t matter that much as long as it is withing the specifications of the mixer. In practice leakage from the SP4T switch is going to be a problem with calibration. Normal VNAs use high quality components and crosstalk between the ports can be assumed to be non-existent. Looking at the uncalibrated values internal errors of the VNA seem to be quite big at higher frequencies. Sweet spot for minimum errors and good coupling seems to be around 2 – 3 GHz and at this range VNA gives the best accuracy. With correct calibration procedure the errors can be calibrated out and resulting measurement are quite high quality when cost of the board is considered. Performance seems to be good enough for non-professional use. 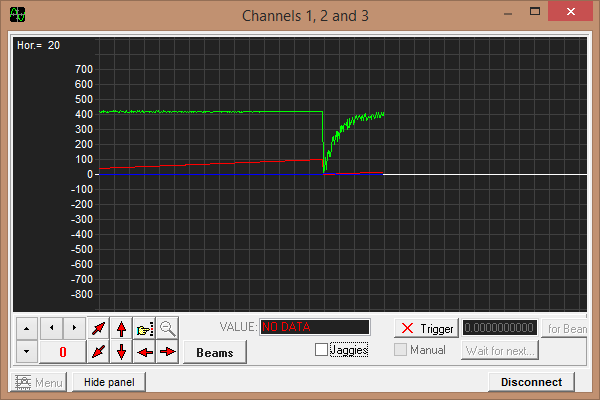 Simple measurements such as antenna return loss measurements can be performed with high accuracy. I’m not selling these, but if you are interested in making your own VNA or are just interested in looking at the design files all hardware, firmware and processing software is available at GitHub. I will build a Wlan controlable Sinus Generator (0 – 40 MHz, 1Hz Resolution) using an ESP8266 WLAN Module as MCU and WLAN Bridge and an AD9850 DDS Module. 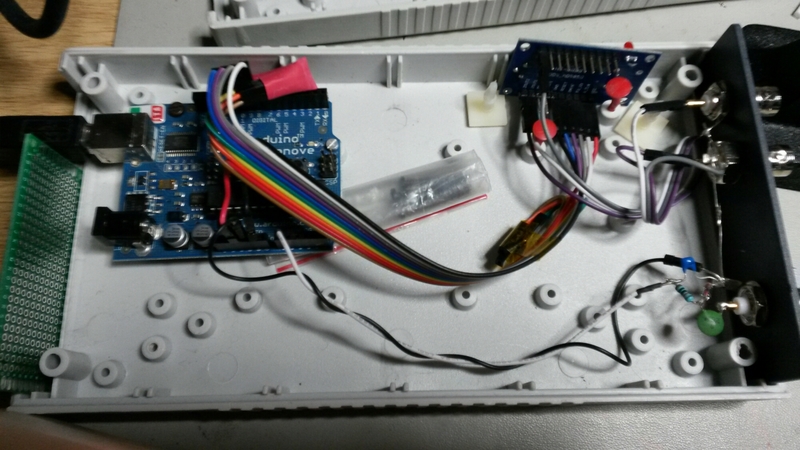 Arduino Nano plus AD9850 Antenna Analyzer/Sweeper. Based on K6BEZ’s design. Includes an overview of the build process and demonstration scans of my antennas. Testable VSWR, impedance, capacitance, etc. Review of the Omicron Labs Bode 100 50MHz Vector Network Analyser / Frequency Response Analyser and some experiments measuring bypass capacitors and characterizing a quartz crystal.